Traditionally, people have placed a lot of importance on having a wedding day to remember. But a new survey indicates that today, Canadians are willing to give up all the wedding bells and whistles in favour of other priorities. 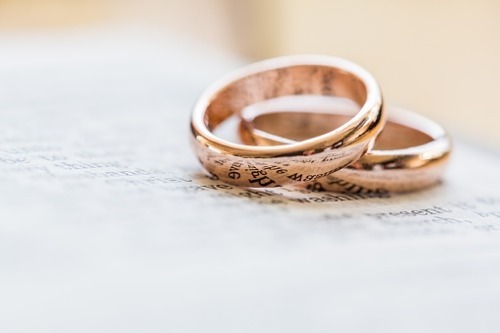 The 2019 Cost of Love study from RateSupermarket.ca, based on an online poll of 1,501 Canadians conducted from January 4 to 7, found that an 84% majority would rather spend their wedding fund on another major expense. When asked what they would rather use their wedding fund on if they could choose, 40% of Canadians said they’d put it toward a down payment for a home. Among those who are married, 38% wish they’d spent their money on a down payment. Based on the national average price of $472,000 recorded by the Canadian Real Estate Association for homes sold in December 2018, RateSupermarket.ca estimated that a down payment would cost $23,600. In comparison, last year’s Cost of Love survey found the average cost of a wedding was $46,401. “Shifts in real estate prices and rising interest rates are possibly pressuring more couples to get into the market sooner rather than later and deferring wedding plans,” White said.